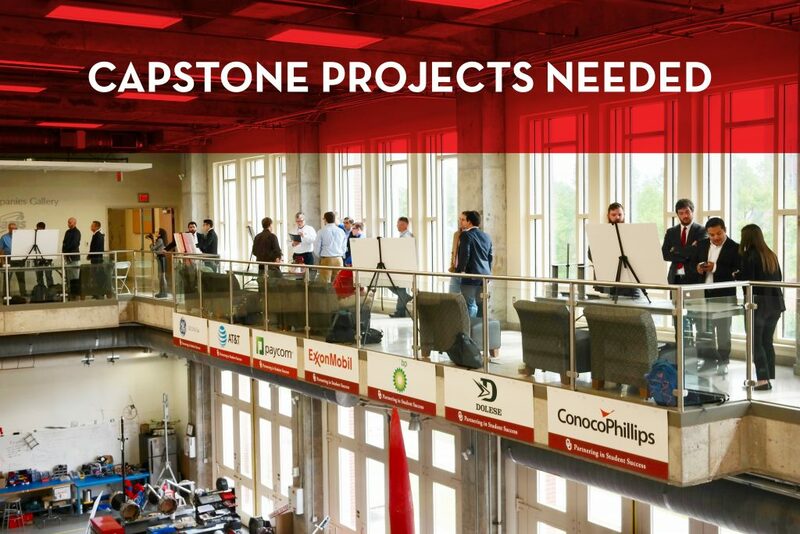 Alumni Opportunity: Capstone Projects Needed! Your school needs your help! The Mechanical Engineering Capstone program has grown in size tremendously in recent years, and we are in need of additional industry sponsored projects to support our large student cohort for Spring 2018. For many years, our capstone program has collaborated with industry sponsors, like you, to provide “real-life” industry projects for our seniors to complete during their final semester in school. These projects allow our students to successfully demonstrate a variety of skills that future employers prize: analysis, design, teamwork and communication skills to name a few. Ideally, the project will feature some elements of a design process and be suited for a team of 3-5 members for a period of 15 weeks. We are also interested in interdisciplinary projects that may involve industrial or electrical engineers as well. If you believe your company may be able to assist us, please contact Dr. Chris Dalton at cdalton@ou.edu.